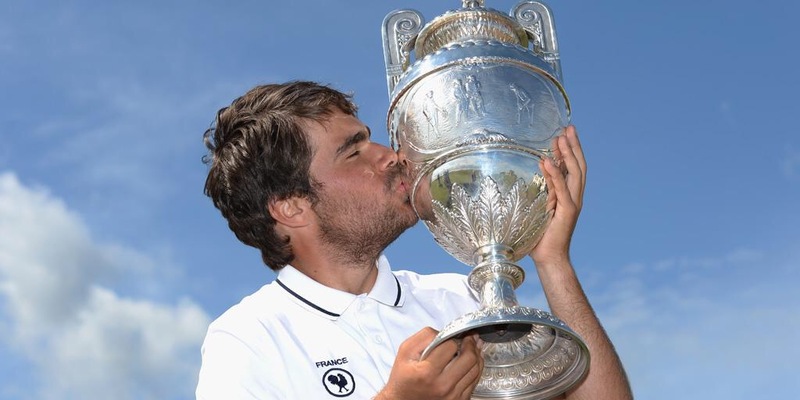 UPDATE – France’s Romain Langasque won the 2015 Amateur Championship, beating Scotland’s Grant Forrest 4&2 in the 36-holf final at Carnoustie Golf Links. 288 golfers from 29 countries are competing in the 120th Amateur Championship which starts tomorrow. All of them will be trying to follow in the footsteps of Scotland’s Bradley Neil, who won the 2014 event at Royal Portrush in Northern Ireland. The Amateur Championship was first held in 1885 at Hoylake and from humble beginnings has grown in both stature and tradition over the last 130 years. Famous past winners include Horace Hutchinson, Johnny Ball Jr, Johnny Laidlay, Harold Hilton, Bobby Jones, Lawson Little, Joe Carr, Sir Michael Bonallack, Peter McEvoy, Jose-Maria Olazabel, Gary Wolstenholme, Sergio Garcia and Matteo Manassero. 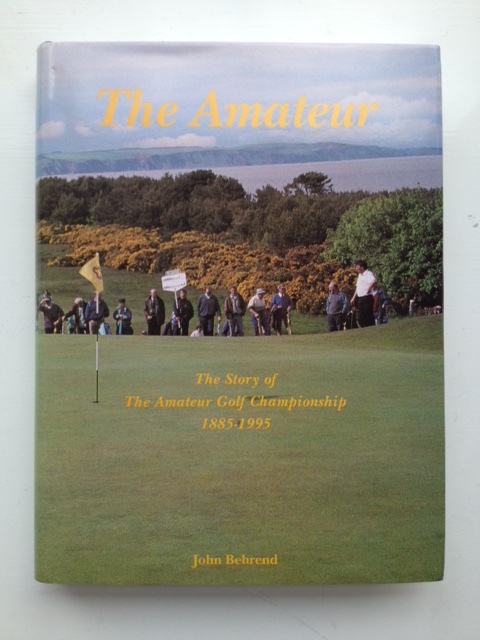 ‘The Amateur – The Story of The Amateur Golf Championship 1885-1995’ by John Behrend provides an excellent history of the oldest amateur championship in the world. To date the competition has been held at 22 different courses across Great Britain. The 2015 Amateur is being held at Carnoustie Golf Links and Panmure Golf Club. Both courses are situated near to Dundee, in Angus, on the east coast of Scotland. This will be the fifth occasion, and the first since 1992, that Carnoustie has been afforded the honour of being the Amateur’s main course. Past winners here include Willie Turnesa (USA, in 1947), Bobby Cole (RSA, in1966 aged 18), Steve Melnyk (USA, in 1971) and Stephen Dundas (SCO, in 1992). The Amateur Championship starts with a 36-hole stroke play qualifier which will be played over the first two days of the competition. 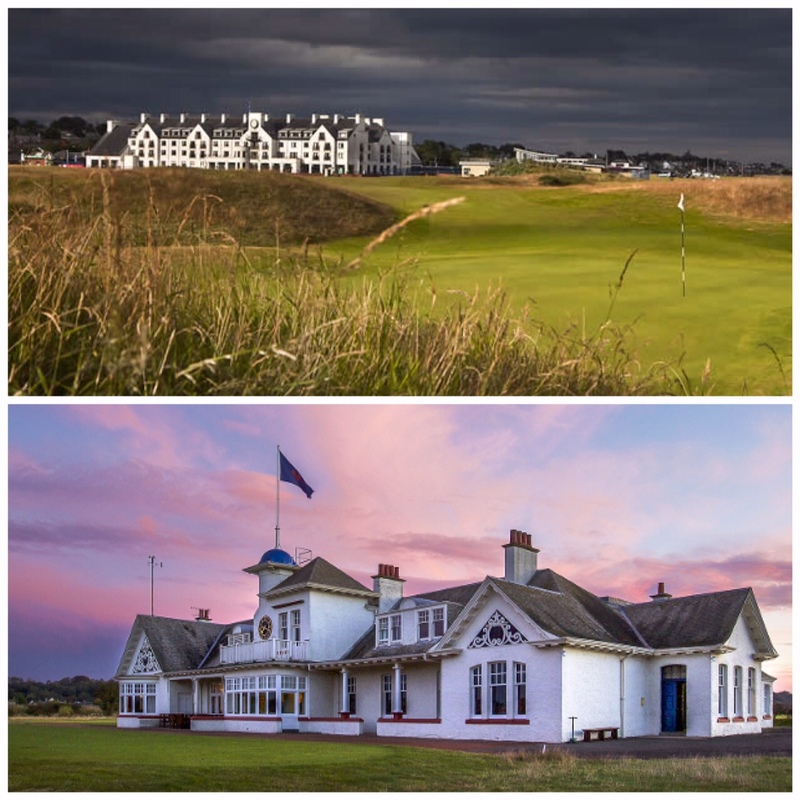 Each golfer will play 18-holes at Carnoustie and Panmure on either Monday or Tuesday. 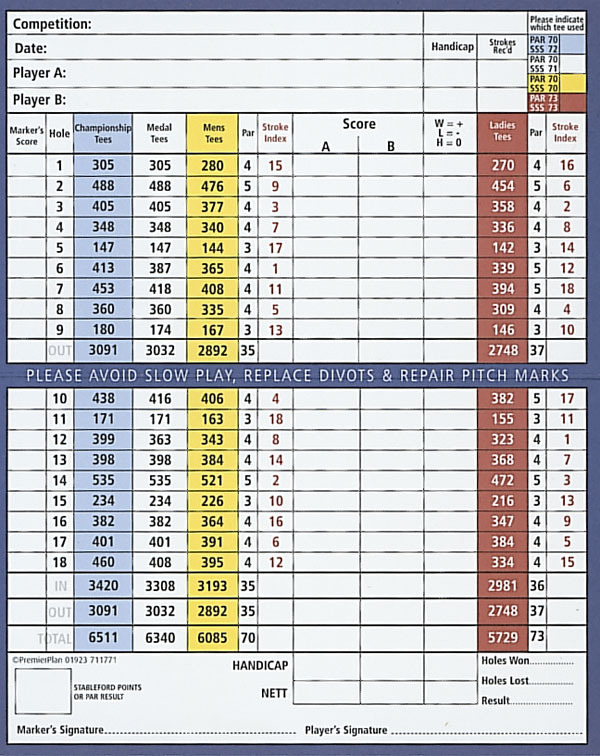 As can be seen in the scorecards below, off the Championship tees, Panmure plays to 6,511 yards and a par 70, whilst the more famous Carnoustie Golf Links plays to 6,941 yards and a par of 72. Following the stroke play qualifier the competitors with the 64 lowest total scores, as well as those tied for 64th place (if there are any), will progress to a match play stage. This will be held, solely at Carnoustie, over the remaining four days – Wednesday to Saturday – to determine the Amateur Champion. All of these matches are 18-holes save for the final which is played over 36-holes. The start sheet for Rounds 1 and 2 can be viewed here – 2015 Amateur Championship Draw. The field is understandably strong with frankly any one of the competitors capable of lifting the trophy if form and luck favours them this week. Unfortunate clashes with the Palmer Cup and Sunnehanna Amateur, both of which are taking place this week in the USA, have sadly deprived some players of the opportunity of competing. Bradley Neil, the 2014 champion, is also unable to defend his title because the US Open is being played this week at Chambers Bay, for which his victory last year qualified him. Likewise Sam Horsfield, who many were looking forward to see playing for the first time on this side of the Atlantic, has also withdrawn having last week pre-qualified for the same US Open. Marcus Kinhult (SWE / 3) – Winner of the 2015 Lytham Trophy and hot off the back of an impressive Nordea Masters in Sweden. Ashley Chesters (ENG / 32) – 2013 and 2014 European Amateur champion. 2nd in Welsh Amateur recently. Ryan Ruffels (AUS / 14) – Australian Boys champion in 2014 and 2015. Mario Galliano (ESP / 15) – Winner of the 2015 European Nations Individual and Copa Beleares. Will Zalatoris (USA / 17) – Consistent performer in US amateur and College golf. Lucas Herbert (AUS / 20) – has shown good recent form at the Scottish Amateur and at the St. Andrews Links Trophy. Cormac Sharvin (IRE / 26) – Recently placed at Lytham as well as the Irish and Scottish Amateurs. Nick Marsh (ENG / 40) – Top 10s at the West of England, Welsh and Scottish Amateurs in 2015. Josh Munn (NZ / 43) – Winner of the Lawnmaster Classic and Akarana Open back home in 2015. Other notable players who should do well are: – James Allan (ENG), John Axelsen (DEN), Ivan Cantero (ESP), Rowin Caron (NED) Cameron Davis (AUS), Matias Dominguez (CHI), Paul Dunne (IRE), Ewen Ferguson (SCO), Grant Forrest (SCO), Rico Hoey (USA), Jack Hume (IRE), Jeroen Krietemeijer (NED), Romain Langasque (FRA), Lukas Lipold (AUS), Taylor MacDonald (AUS), Dermot McElroy (IRE), Antonio Murdaca (AUS), Bradley Moore (ENG), Gavin Moynihan (IRE), Jimmy Mullen (ENG), Jordan Niebrugge (USA), Marco Penge (ENG), Connor Syme (SCO), Ben Taylor (ENG), Ashton Turner (ENG), Robbie Van West (NED), Daniel Young (SCO) and Federico Zucchetti (ITA). SkyBET are offering odds for the Amateur Championship which highlight who they see as the favourites for this marathon golfing event. Click the link to view them – SkyBET’s Outright Winner Odds (but be quick as they will be removed at the start of play on Day 1). Locals may be unhappy to see a weather forecast that looks relatively good for the Championship – very little rain and only modest winds are expected. Mon 15th June – Mostly Cloudy. Wind 8 mph (West). Max. 12°C / Min 9°C. Tues 16th June – Mostly Cloudy. Wind 12 mph (North). Max. 15°C / Min 11°C. Wed 19th June – Partly Cloudy. Wind 20 mph (East). Temp. Max. 17°C / Min 11°C. Thurs 18th June – Partly Cloudy. Wind 18 mph (East). Temp. Max. 14°C / Min 11°C. Fri 19th June – Partly Cloudy. Wind 11 mph (East). Temp. Max. 15°C / Min 11°C. Sat 20th June – Partly Cloudy. Wind 9 mph (North). Temp. Max. 15°C / Min 11°C. Whilst trophies and cash prizes are awarded to the Amateur Champion these are not the primary rewards on offer. The winner also receives a place in this year’s Open Championship, taking place down the coast at St. Andrews, and the 2016 US Open Championship, which is to be held at Oakmont CC in Pennsylvania. Whilst not formalised, an invitation is always extended to the next available Masters Tournament at Augusta National GC too. Additionally, many other Professional tournaments on both the US PGA Tour and European Tour are only to pleased to offer sponsor’s invitations to the Champion to compete. Finally, should a home player win they will be assured of a place in the GB&I Walker Cup team, the 2015 match taking place at Royal Lytham in just 3 months time. The Royal & Ancient run the Amateur championship. As one would expect there is an excellent webpage covering the Championship where the all important live scoring and draw information can be found – R&A Amateur Championship webpage. There are few people who have made a more significant contribution to the game of golf than Sir Michael Francis Bonallack, Kt, OBE, who celebrates his birthday today. 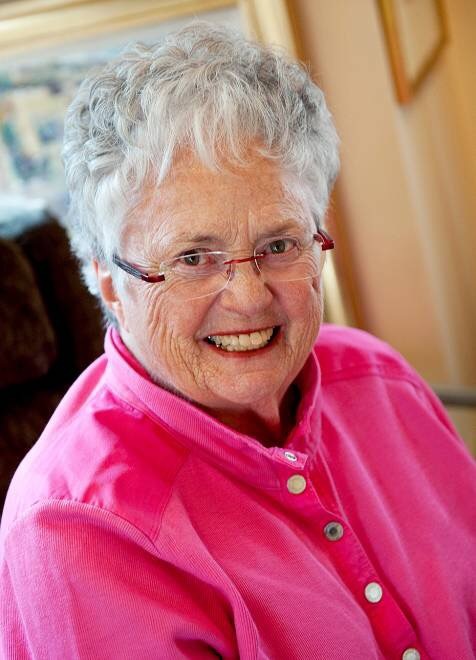 An outstanding amateur golfer who became a highly respected administrator. He was born in Chigwell, Essex, England on 31st December 1934. Michael first picked up a golf club when he was 10 whilst on holiday in Saunton in North Devon, playing on the beach with his brother rather than the famous courses behind the dunes. Taking to it well the boys were enrolled by their parents at the local Chigwell GC shortly afterwards. Michael quickly started to win junior competitions and saw his handicap tumble. Michael’s younger sister Sally (Barber) was also a very accomplished player. 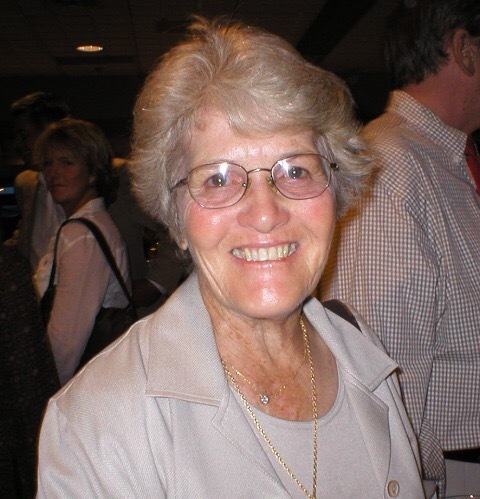 She was the English Ladies Champion in 1968 and played for both England (1960-72) and Great Britain & Ireland (GB&I) in the Curtis Cup (1962). She turned professional in 1979 before having her amateur status re-instated in 1982. After just a few years at Chigwell Michael joined Thorpe Hall GC and it is this Club, near Southend-on-Sea in Essex, that he represented throughout his amateur career. Thorpe Hall is a tight tree-lined course with small greens and this contributed to Bonallack becoming a straight-hitter with an exceptional short game. It is a little odd that today Thorpe Hall’s website makes no mention of this famous association (although I am advised plans to do so are underway). 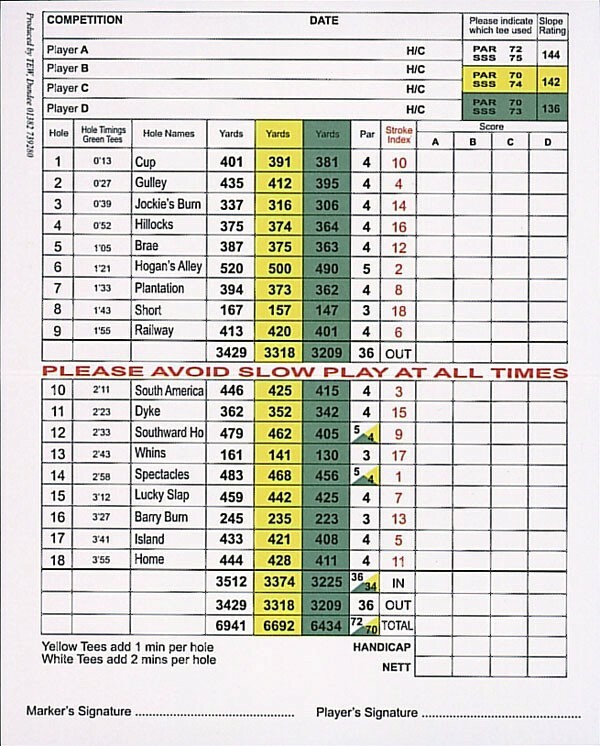 Educated at Haileybury, Michael achieved a scratch handicap at 16 and quickly made a name for himself; regionally, winning the Essex Boys title in 1950 and 1951, and then nationally, winning the British Boys Championship in 1952, beating Alec Shepperson on the 37th hole of the final at Formby GC. His favourite Amateur win was the 1965 one at Porthcawl against Clive Clark. “I was six down after 12 holes of the 36 hole final but got it back to three down by lunch when, just to pass the time, I started sticking sixpences into the fruit machine. On about the fifth pull I won the jackpot. I made sure Clive knew about it. ‘Must be my lucky day’ I told him”. Famous Scottish caddie Willie Aitchison, who helped Roberto De Vicenzo and Lee Trevino to their Open wins, also caddied Bonallack to all of his Amateur wins. 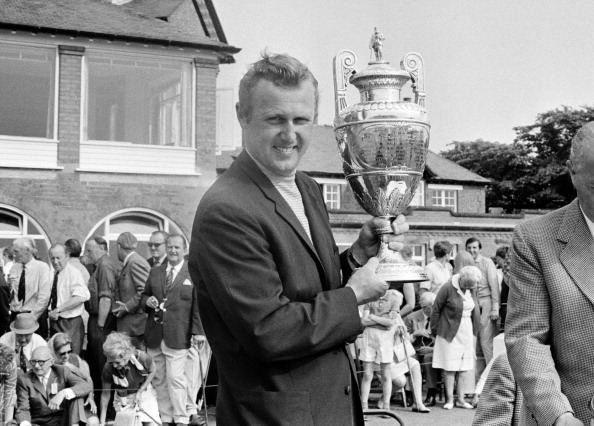 Nationally he also won the English Amateur Championship five times (1962, ’63, ’65, ’67 and ’68) and the English Open Amateur Stroke Play Championship (Brabazon Trophy) four times (1964, ’68, ’69 (tied with Rodney Foster) and ’71). Other notable victories came in the Lytham Trophy (1965T and ’72), Berkshire Trophy (1957, ’61, ’65, ’68, ’70, ’71T), St. George’s Grand Challenge Cup (1965, ’68, and ’81), H.R.H. Prince of Wales Challenge Cup (1967), Hampshire Hog (1957 and 1979) and the no longer contested Golf Illustrated Gold Vase (1961T, ’67T, ’68, ’69T, ’71 and ’75). Second Lieutenant MF Bonallack (Royal Army Service Corps.) also won the Army Championship in 1955 at Muirfield. He captained the Army Team between 1962-67. Finally, he also won the Sunningdale Foursomes in 1959 playing with Doug Sewell and The Antlers at Royal Mid-Surrey in 1964, playing with Dr. David Marsh – Sewell and Marsh both being first class amateurs themselves. Since 1959 the Philip Scrutton Jug has been awarded to the player with the lowest aggregate scores in the each year’s Brabazon and Berkshire Trophies. Given his record in both competitions Sir Michael won the jug in 1961, ’64, ’66, ’68, ’69, ’70 and ’71. Unsurprisingly he dominated men’s golf in Essex winning the Essex Amateur Championship a record 11 times, in 1954, ’57, ’59, ’60, ’61, ’63, ’64, ’68, ’69, ’70 and ’72. Sir Michael also won the 1969 Essex Open Championship in 1969 and East Anglian Open Championship in 1973. He represented GB&I in nine Walker Cup teams, two as playing Captain (in 1957, ’59, ’61, ’63, ’65, ’67, ’69, ’71 and ’73). He played 25 individual games, more than any other GB&I player in the history of the match and is only beaten by Jay Sigel’s 33 on the USA side. His record reads won 8, lost 14 and halved 3. The highlight for Bonallack was contributing to the victorious side in the 1971 Walker Cup – the first time GB&I had won the cup for 33 years. “I was playing captain that year when we won over the Old Course at St. Andrews, and it does not get, cannot get, any better than that,” he later recalled. Bonallack, representing GB&I at the time, also played in six World Amateur Team Golf Championships, for the Eisenhower Trophy, the last three as playing Captain (1960, ’62, ’64, ’66, ’68, ’70 and ’72). In 1968 he tied for the Individual title with Vinny Giles from the USA. He also represented GB&I in biennial matches against The Rest of Europe between 1958-72. Sir Michael represented England in the Home International Matches on 17 occasions (1957-72, ’74). He captained the team between 1962-1967. His record was played 131; won 79, halved 15 and lost 37. He also played in the British Commonwealth Team in 1959, 1963, 1967 and 1971, captaining the team in 1971 and 1975 (non-playing). He played in 13 Open Championships. His best finish coming in his first when he tied 11th at Muirfield. He didn’t win the Silver Medal that year but secured it in 1968 (Carnoustie – T21) and again in 1971 (Royal Birkdale – T22). He considered these results his main golfing disappointment, reflecting in later years: “I wish I had done better in The Open”. Bonallack had little overseas success. He played in the US Amateur six times between 1957 and 1973, his best finish T11 coming at Scioto CC in 1968. He also played in the US Masters three times, 1966, ’69 and ’70, missing the cut on each occasion. However, he did have the pleasure of sitting next to his hero Bobby Jones at the traditional Amateurs’ Dinner in 1966 and then playing alongside the legendary Ben Hogan, whom he described as “the finest ball-striker I ever saw”. He never competed in either the US Open or the US PGA Championship. Bonallack’s playing pre-eminance came just before the establishment of the European Tour and the growth in tournament purses. The transition from amateur to professional was more cumbersome in those days – the PGA prevented amateurs from taking prize money for two years – and with a lack of conviction that he was really good enough little time appears to have been spent worrying about doing so. It simply made more sense for him to work in sales for the family business which was involved with refrigerated trucks and container bodies. This earned him a salary whilst affording him the flexibility to practice (normally in his lunch breaks) and play on the weekends as he wished. The couple have four children, Glenna (55), Jane (53), Sara (49) and Robert (47) and many grand children. Unsurprisingly golf still runs through the family’s veins with Glenna, Jane and Robert all very good players. Jane (Baker – known as “JB” to her friends) went her own way preferring horses and riding. Angela and Glenna won the well known Royal Mid-Surrey Mothers and Daughters Competition in 1979 and 2000. 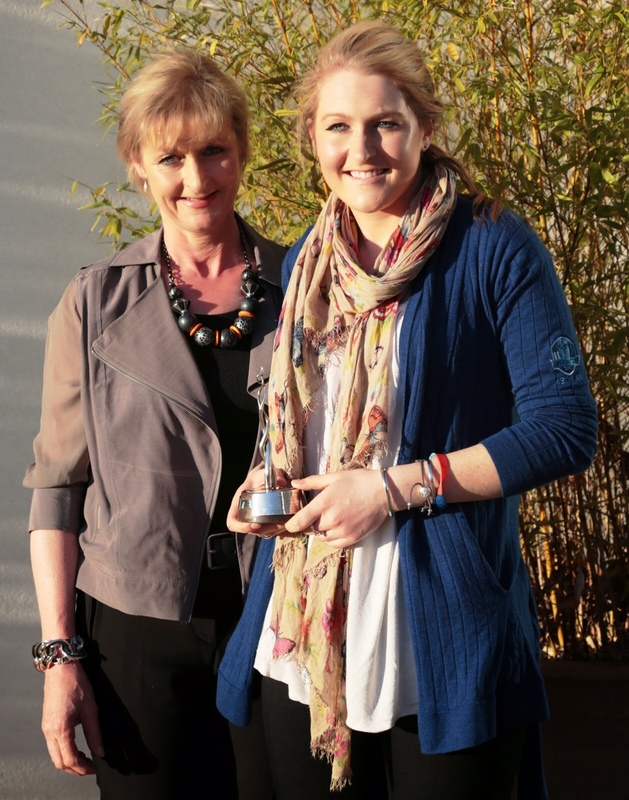 In 2013 Glenna won it with her own daughter, Harriet. Sir Michael was appointed Secretary of the Royal & Ancient Golf Club of St. Andrews in 1983, succeeding Keith Mackenzie. In the early 1980s Bonallack was running the Leisure Division of construction and property developer company Miller Buckley based in Rugby, albeit the family still lived in Essex. Among his roles was Chairman of Cotton Pennick & Lawrie, the Golf Course Architect company (1978-83), that had been acquired by Miller Buckley. Upon his appointment he left Miller Buckley to take on the Secretary’s role and moved with Angela up to Fife. 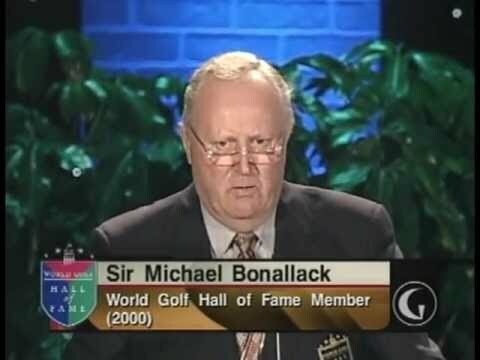 As Secretary of the R&A, Bonallack helped to guide the game into the 21st Century. “He has bridged the gap between the history and heritage and tradition of The Open Championship and golf in general as it moved into the commercial age globally and internationally and he’s done it with great taste and tact and really stands almost alone as someone who has handled that crossing.” said the late Mark McCormack, chairman of International Management Group. Bonallack himself said: “It’s one continual satisfaction to see the way in which golf is developing. Obviously, the expansion of The Open, and the fact that we can generate this money to put back into the development of the game is very satisfying”. He retired as Secretary in 1999 after 16 years and was succeeded by Peter Dawson. He was immediately nominated for the Captaincy of the Club for the millennium 1999/2000 year. There were two themes that he sought to bring to the role during his term of office: “…maintaining behavioural standards and ensuring that amateur golf is not destroyed by over-commercialism and ridiculously large prizes”. The Bonallack Trophy, a biennial amateur competition played between teams from Europe and Asia-Pacific, was first played in 1998. The teams consist of 12 amateur golfers with no more than two players coming from the same country. The competition named in honour of Sir Michael continues to grow in importance and helps to raise the profile of the game, particularly in the Far East, Indian and Australasia areas. Other golfing competitions and trophies have been named after Sir Michael too. 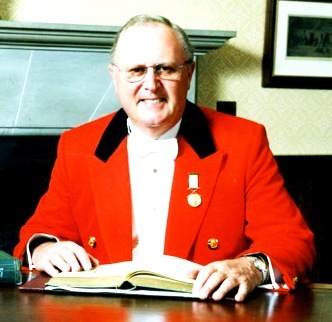 In 2007 the Essex Golf Union established The Sir Michael Bonallack Trophy, a 36-hole scratch men’s stroke play competition, in honour of their Life Vice-President. Finally, 2014 has seen the commencement of The Concession Cup, a match between teams of mid, senior and super-senior amateurs from the USA and GB&I, and the commissioning of the Bonallack Campbell (Jim) Trophy for the winners. 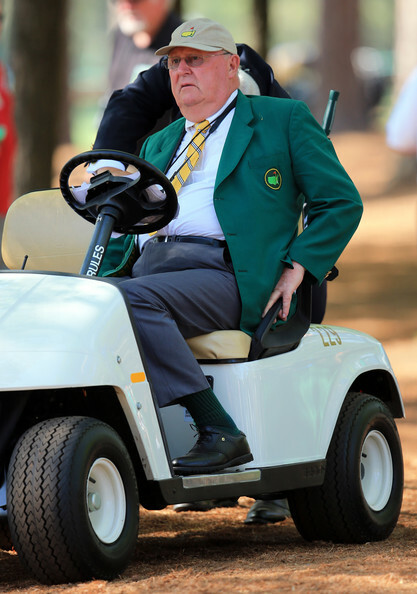 He enjoys many other golf club memberships, notably Pine Valley and Elie, as well as many honorary memberships offered in recognition of his service to the game, including Augusta National GC. Knight Bachelor awarded by Queen Elizabeth II (1998). Sir Michael became the third ‘golfing knight’ after Sir Henry Cotton and Sir Bob Charles. Sir Nick Faldo subsequently joined the select group in 2009. 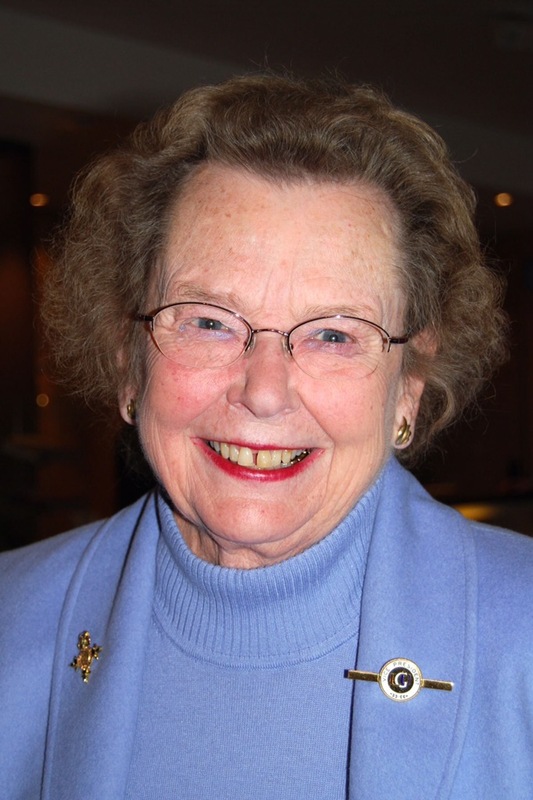 President of the National Association of Public and Proprietary Golf Courses (NAPGC) (2008- ). Sir Michael enjoyed a distinguished playing career and has become Britain’s most decorated amateur golfer in the years since. I hope he is enjoying his retirement at home in Fife and occasionally having the odd game of golf – he still plays off a handicap of around 13. In my original article in 2014 I complained that a biography of Sir Michael was long overdue. Well in August 2018 The R&A rectified the matter by publishing ‘Par Excellence’, a biography written by Donal Steel. On 21st February 2019 the USGA announced that the book was to be the recipient of their Herbert Warren Wind Book Award for 2018, in recognition of its outstanding contribution to golf literature.